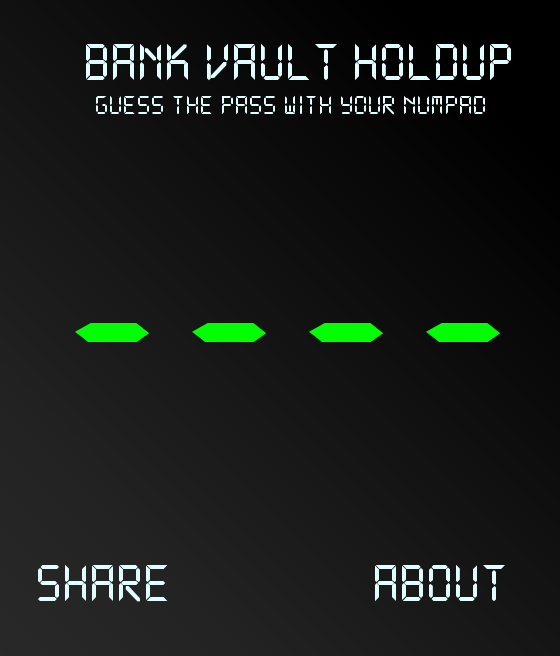 Bank vault holdup is a game where you have to guess a secret pass to open the bank vault and get the reward! There is no hint, you just have to follow your intuition. Let me know if some bugs appear in your browser (I know there is a font problem with IE, and that the game does not work on cellphones). I released this webapp mostly to understand how work node.js and mongodb. I deployed the app with Heroku and MongoLab. It’s just a small test app, but I hope you could have some fun trying to find the password. The sources are fully available in my github.